Haven't we had a beautiful weekend? 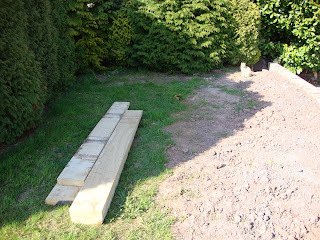 And the timing was perfect as it meant we could make a start on the Cottontails Kitchen Garden. 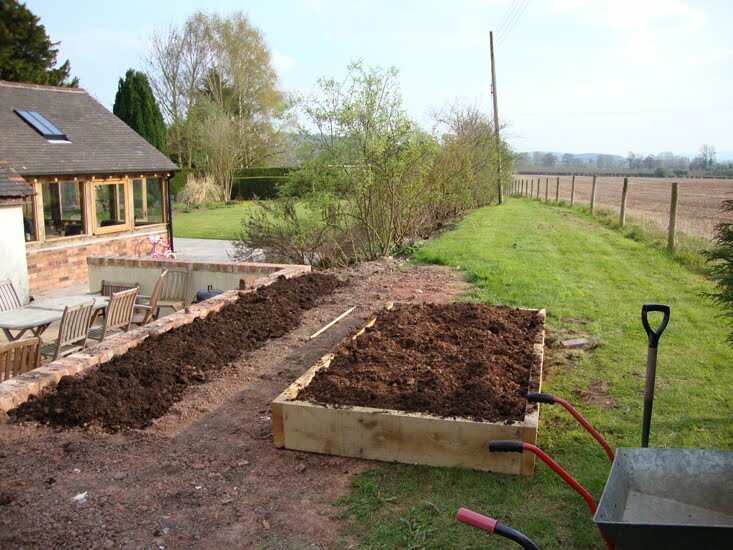 Thanks to everyone's comments and feedback last week, I decided to go for a mixture of raised beds and a couple of borders. 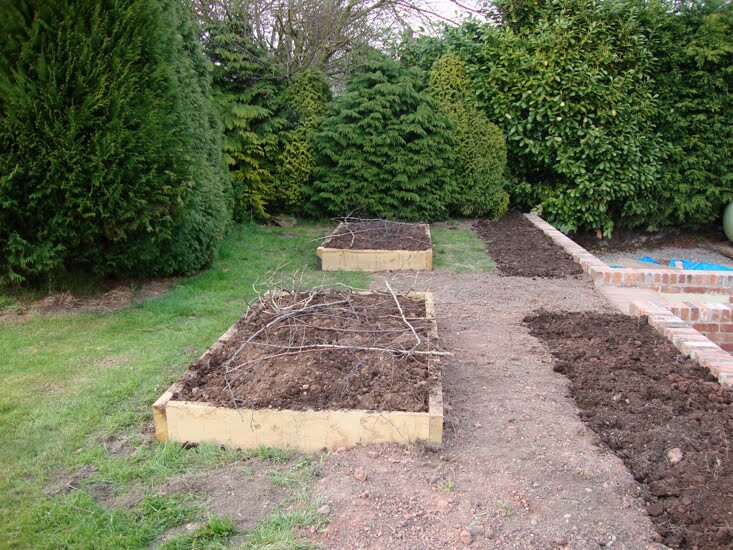 The borders will be for lavender and herbs - maybe with some peas at the back? 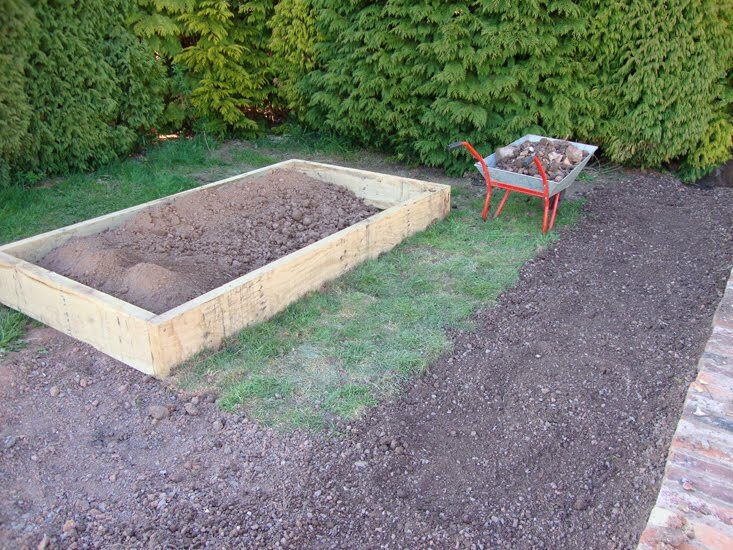 - and the raised beds will be for other veg and salad things. Mike did some research and came across Moor Court Farm, a nearby farm selling railway sleepers, oak timbers and vegetable bed kits. 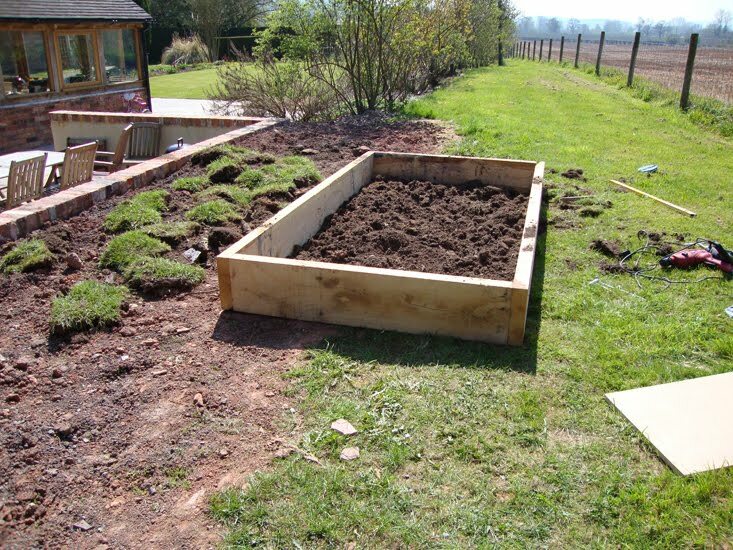 We drove over on Thursday afternoon to meet Nick who runs the business, and by Friday morning he had delivered the timber for two 8' x 4' veg beds and two tonnes of top soil. 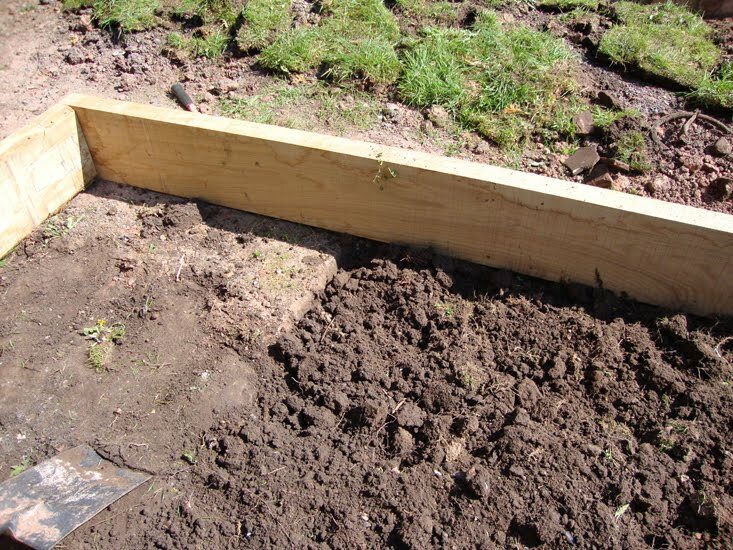 They deliver nationwide (have a shop on ebay) and I can't recommend them enough so if you are on the look out for really good quality raised beds (sustainable oak, 100% organic, not requiring any treatment) have a look at their website. Saturday morning Mike assembled the raised beds (while I slept in!) and once they were in position we dug out the turf and forked up the ground underneath. I relaid the turf and started digging the nearby borders while Mike began filling the raised beds with the top soil. Sunday was spent with more of the same plus digging compost out of our four year old 'heap' of grass cuttings and garden trimmings in the far corner of the garden. It's good stuff! We worked until 8pm with only the odd break to drink tea and read Alan Titchmarsh, and by the end of the day most of the hard work has been done. So far there haven't been many occasions to test out my children's gardening equipment (Mike snorted when I suggested we use one of the little pink wheel barrows for transporting the two tonnes of top soil) but I have managed to give the Moulin Roty rake a good work out on the borders and can report that it really is a strong, sturdy tool. 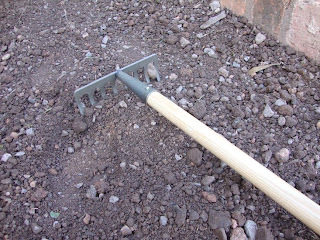 Easily up to the job of any full size garden rake but just slightly smaller and lighter - it's a genuinely good quality, scaled down garden tool. And next weekend the planting begins! Hi Charlotte! Wow! What gorgeous photos of your bit of earth! 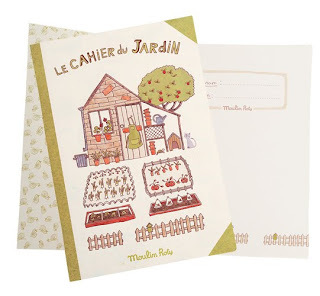 I can't wait to watch your garden grow! Where is Humphrey? What progress! 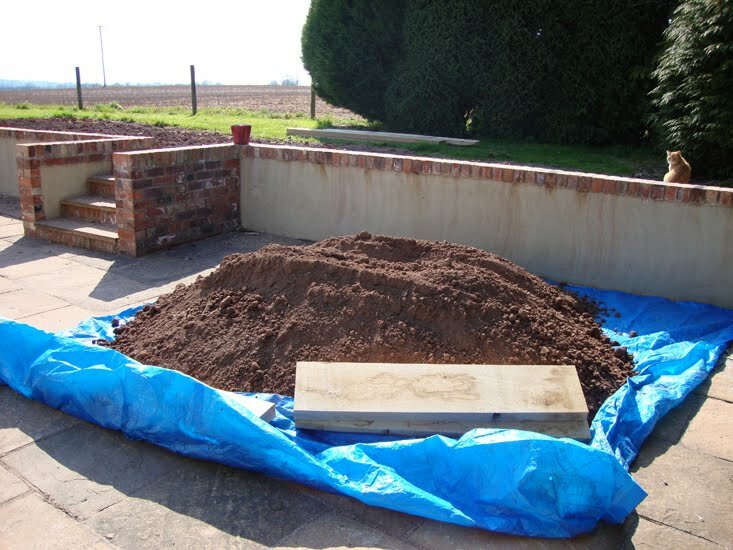 I presume Humphrey wisely stayed away lest he be put to work pushing a pink wheel barrow. 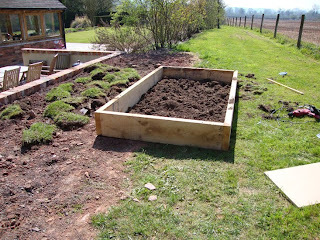 It's looking amazing and I so love raised beds - there is something so Gardener's World about them. Well I think so anyway. Hey those look great! Nothing better than putting your hands in the dirt huh? Well, except maybe putting your hands in soft bunny fur! oh looks like you've done a great job, good luck with the growing! 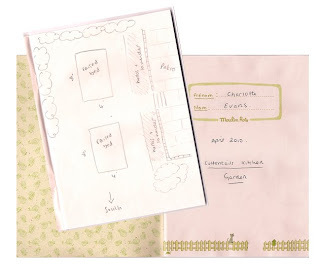 I'm so pleased you liked your goodies! You lucky thing living in Stratford and working Waterstones, both of those would be heaven to me! Your raised beds look excellent. I'm sure Humphrey will enjoy helping you eat your crops. I have a poorly bun at the moment. The vet thinks Daisy has e-cunli and we are having to get two syringes of medicine in her each night. Not an easy job with a rabbit. Thanks very much for your message. I have emailed Di at Hoppy Holidays to see if she can give me any advice. I have been to the vets this morning and they aren't particularly hopeful - mainly due to Daisy's age (she is at least 9). She has some hind leg paralysis but her x-ray showed some early arthritis in her pelvis anyway. She was quite wobbly at the beginning of the week, but I think she is much more stable now. She is only eating greens, but certainly enjoys them still. The vet this morning thought there was a slight head tilt and some flashing in her eyes. She has four more days of Panacur, so I'm praying for a miracle! Thanks again for your help. It's looking good, and now the hardest bit is over you can have the fun of choosing what to plant (my favourite part!!). I've spoken to Di today regarding Daisy and she has given me some hints and tips. Daisy isn't eating her dry food or much hay so Di suggested a treat, so I tried Daisy with a biscuit and that soon went down! At least she is getting something solid in her as well as greens, parsley etc. Oh my goodness, I am so excited for you! 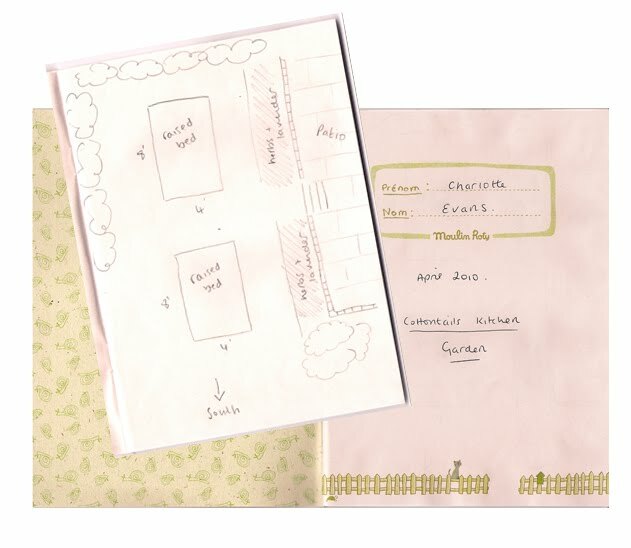 Your garden is in the most fantastic spot. Your hubby is such a spoil sport for not wanting to use the little pink wheelbarrow! I went mad with the tomato seeds and have ended up with 20 plants. Thankfully the chickens and guinea pigs love tomatoes as much as we do!